Since the beginning of time men and women have had to figure out ways to coexist peacefully. This was first achieved by men leaving the house everyday to work while women tended to the needs of the home. When that stopped working, the "man cave" was created. Here, men had the illusion that they had finally achieved a space they could call their own. Many years later a new idea was adopted, the "pub shed". After all, a man cave could easily be relocated to the backyard room right? When women began to hear rumblings of this new idea it was decided that they deserved an outdoor escape too. And that is when the "she shed" was born. What Is A "She Shed"? 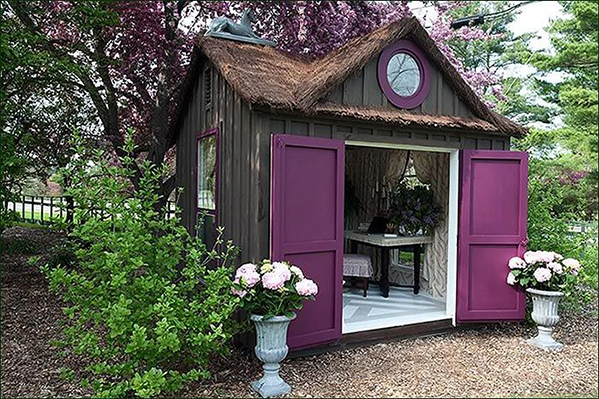 By definition, a "she shed" is simply an outdoor sanctuary women have created for themselves by transforming a dirty shed into something beautiful. This relaxing backyard room can be used for anything. So whether you are looking for some quiet, uninterrupted alone time or a fun place to hangout with friends, the "she shed" might be perfect for you. 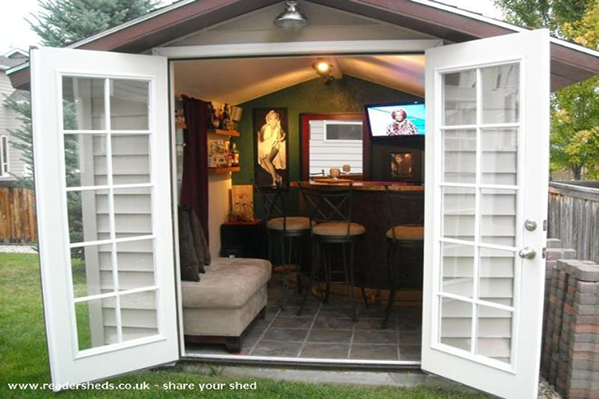 Now you might be wondering if the "she shed" came after the "pub shed", then what exactly is a "pub shed"? 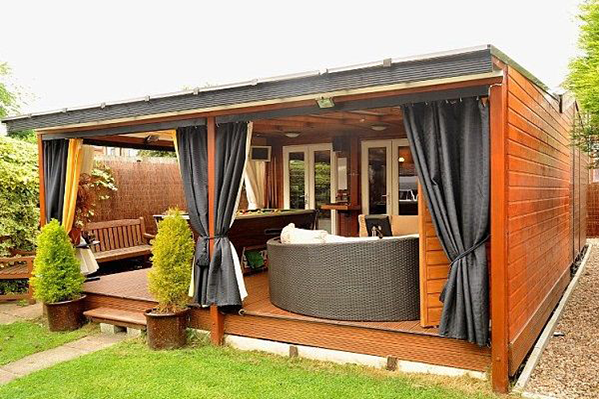 Initially, the "pub shed" was designed as a creative way to add an entertainment aspect to an otherwise simple backyard room. Typically sheds have a bad wrap for housing all things scary (tools, bugs, lawn equipment, darkness, etc.) so women tended to steer clear. Men took notice of this and that's when the shed became the new place for their cave, and thus the "pub shed" came into existence. But why do these new backyard sanctuaries have to be used one way or the other? We as human beings are constantly evolving so in the case that you both want a private retreat in your backyard room but just don't have the space for two sheds, we've got you covered with these amazing shed designs. 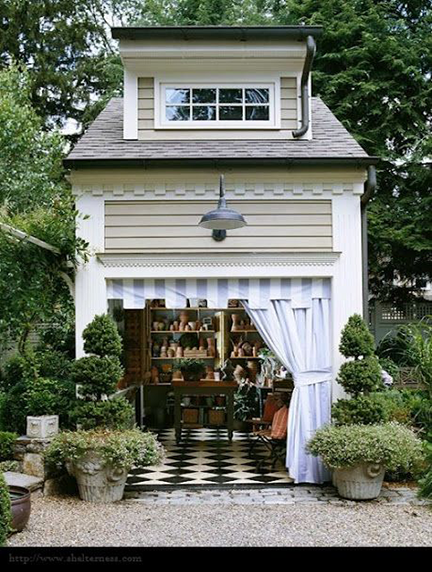 No matter what you call it, these trendy shed remodels are great additions to any backyard room.